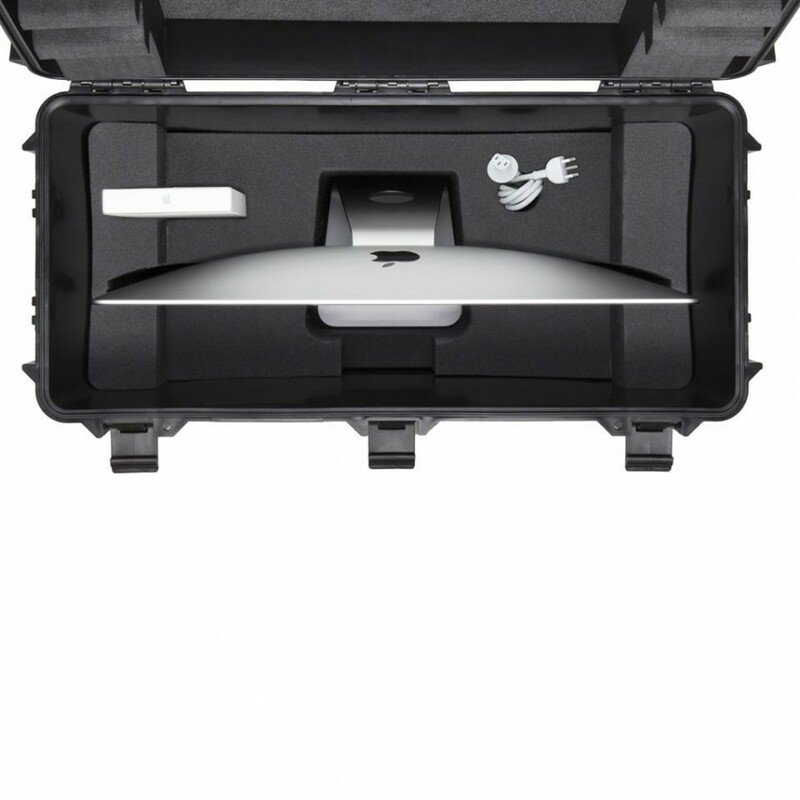 Lightweight, waterproof, unbreakable case that can be used to carry your Apple iMac 27". The special foam inserts will allow you to securely carry your Apple iMac safely. The 4800W has two wheels that allow you to carry it like a trolley. • Materials: made of a patented material given by a special compound based on polypropylene TTX01, glass fibre and rubber. It is also composed of PA66, SEBS, PA66GF30, ALU, Stainless Steel. Maximum protection with minimal weight. 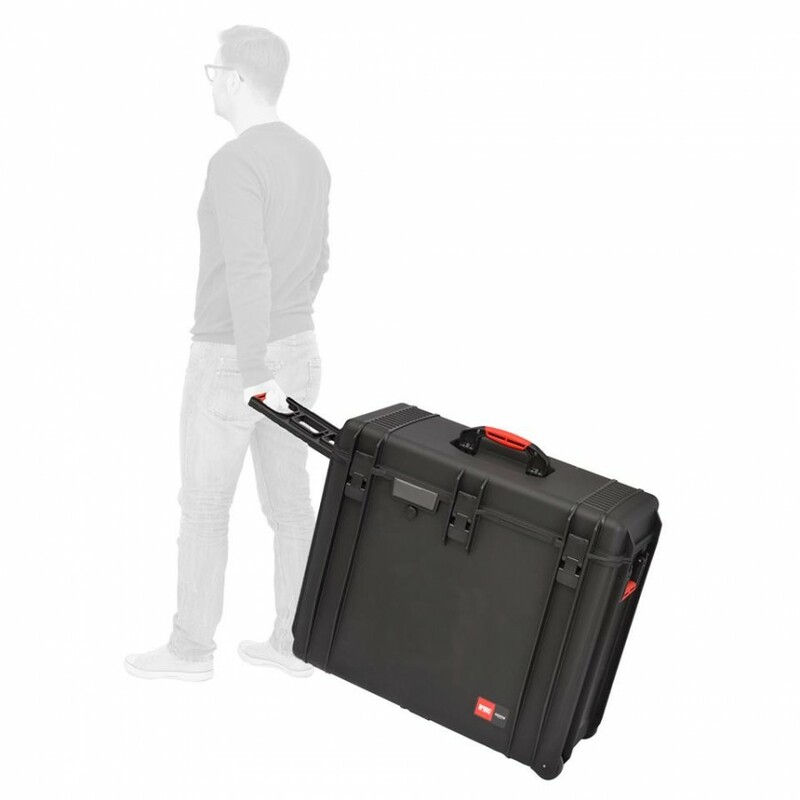 The TTX01 and the use of materials such as aluminium for the trolley versions, allow obtaining a final weight of HPRC cases up to 20% lighter than the competition. 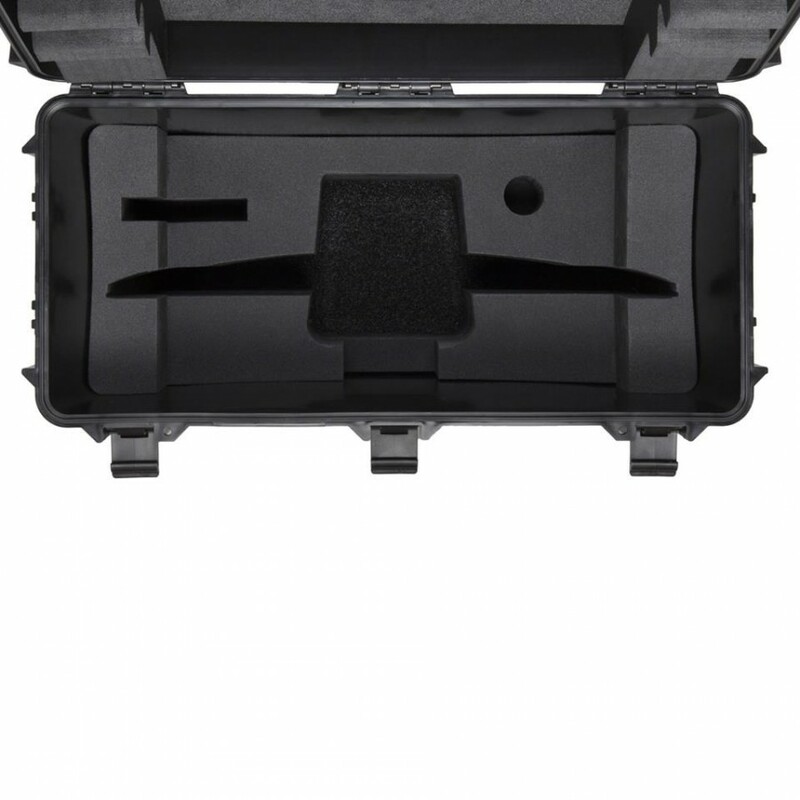 Having a hard case very slight advantages in the use of the port, in transport and shipping costs. It has been a priority in the creation of suitcases HPRC find the lightness combined with maximum protection. In any case, the development of the material TTX01 continues: the search for lightness is not at the expense of protection, it’s a key point for our company. The entire production line of suitcases HPRC is ISO9001 confirming a particular attention and interest in maintaining a product at the highest level. These tests and certifications guarantee and certify the quality of the product HPRC and its durability. They also give a guarantee to the user HPRC can buy the case of high quality designed and manufactured entirely in Italy.